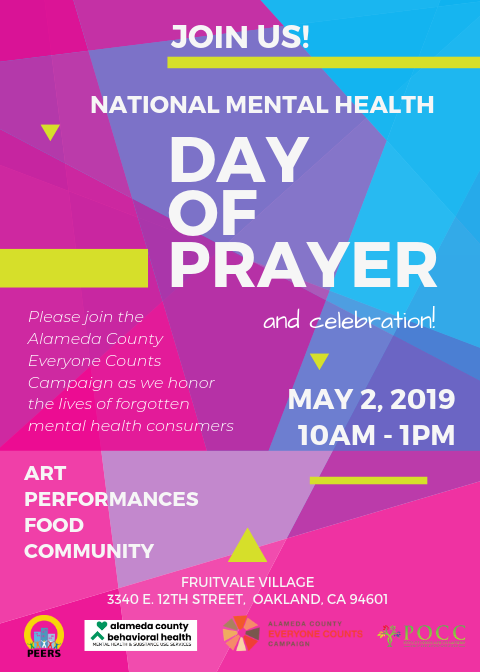 National Mental Health Day of Prayer is a time when people with lived experience of mental health challenges and their families and friends gather to support one another and honor the lives of forgotten mental health consumers. On May 2, from 10am - 1pm, we will join together to sing, share stories, create art, and celebrate the role that spirituality plays in recovery for so many of us. 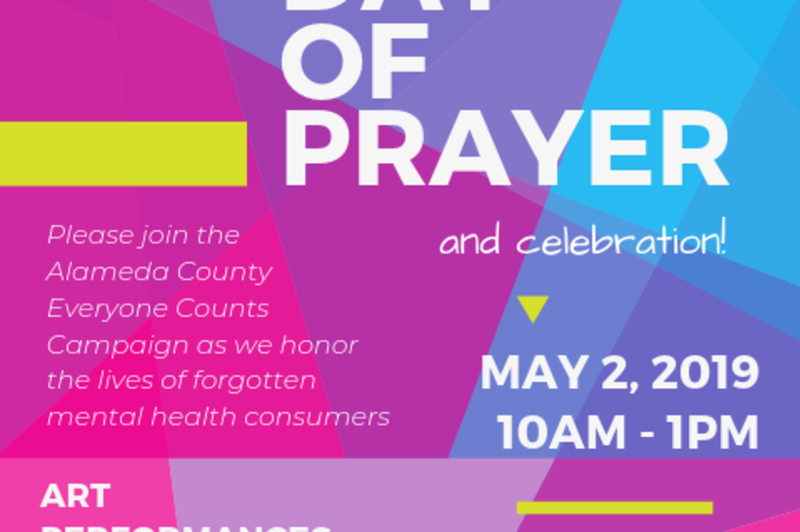 The Alameda County Everyone Counts Campaign, a program of Peers Envisioning and Engaging in Recovery Services (PEERS), will host the event, and we invite community members to join us.